The best advantage of the Nikon SB-900 is that you can switch to wireless very fast. Switch a button and thats it..you are in wireless mode. Sb-900 is lighter then SB-800 with the battery pack. The SB-900 does wobble also a bit in the hot shoe but that doesn’t really concern me. Overall is a great piece of equipment but for those starting with the strobes, SB-800 can also do the same job at a lower price. That really depends what you are going to be doing with them. If you are going to be buying more than one you will atleast need one sb-800 or 900 that has the master mode if you want to control them all together remotely. I’d say for a beginner a sb-600 would surely be good enough, many professionals even prefer them over the 800 and 900. You could always start with the 600 and when you decide you want more than one compare the 800 and 900 again and see if the extra features the 900 has would be useful or not. Is there a typo in your comparative specs? Isn’t the sb900 rated at 131 guide number at 35mm position, ISO 100, not 111? I think the ideal choice will be SB-800 if you are not a press photographer. It is cheaper than SB-900, lighter and smaller in size. It has many features that SB-900 has. Hi. I have a Nikon D80 & D90 that I use for weddings. I have a SB600 flash. That I use on the D90 with a 18-200VR lens. I want to buy a extra flash for the D80 and a 18-200VR2 lens. What flash would you recomend I buy? The SB600 or SB900? Is ther another lens that you would recomend I buy insted of a 18-200VR? The Nikon Sb600 is more than enough and has the features that most photographers need, the Nikon SB 800 and 900 are overkill flashes. They have features that 98% of photographers wont use any way except the commander mode, however most Nikon DSLR’s have a commander mode built into them anyway so that feature is irrelevant. Save your money and buy the SB600, or if you been convinced by commercials and advertising go with the Sb800 or Sb 900. Your Review helped me alot i wanted to gift it to a friend. And had no idea which one to buy. After going through the comparisons made i got Nikon SB-800. Page C-10 of the SB-900 discusses the iTTL-BL function and how to set the CLS compatible dSLR or film body to activate this mode. 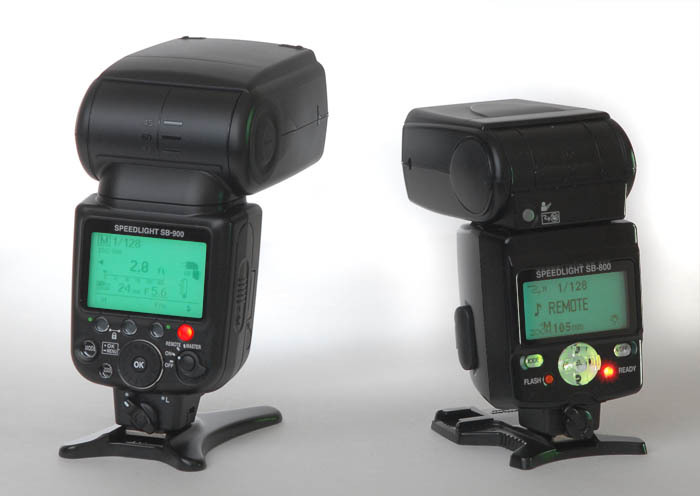 The mode is also available with the SB-910 and SB-700.